Third party DCS World developer Heatblur continues to make some headlines this autumn as they announce a redeveloped version of their ground radar system for DCS World. Ground Radar 2.0 is coming for the AJS-37 but it will also be part of the core technologies supporting the DCS: F-14. Eagle Dynamics has been talking about building ground radar core technologies into DCS World for a long time. Heatblur jumped over that hoop and decided to build their own technology into the AJS-37 Viggen that gave that aircraft its necessary ground radar feature before the “official” Eagle Dynamics version arrived. As of right now, Eagle Dynamics ground radar is still not a feature, but the Viggen has been successfully using a ground mapping radar system for a while now. Still, despite this, there has been the impression out there that Heatblur had created some sort of inaccurate “hack” to sidestep official support and that is not the case. 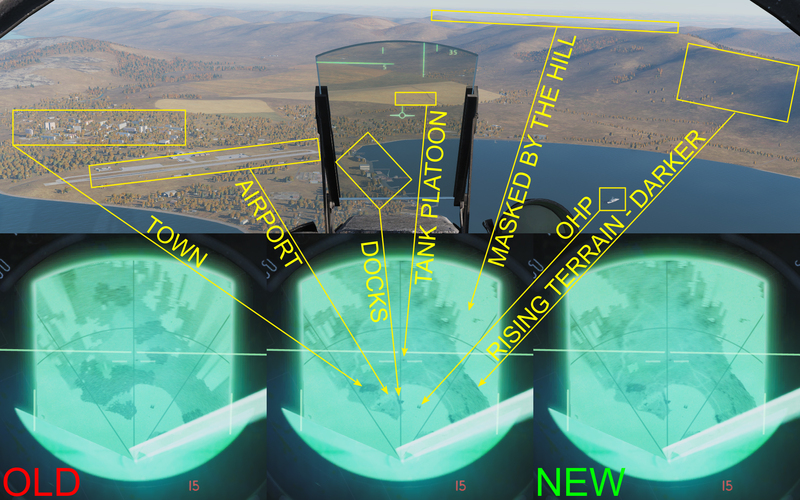 Not content to develop a, pardon the pun, ground breaking radar tech for DCS World, Heatblur is now pushing the envelope further with a second generation of the same technology. The same technology will also provide support for the limited ground mapping abilities of the DCS: F-14 module that Heatblur is currently working to complete. The new radar system will apparently offer greater performance and detail showing objects that were previously not visible on the radar such as static ships, buildings, parked aircraft, civilian traffic, and even objects like bridges and airport runways which previously were not easily seen or seen at all. See these examples below to get a better sense of what they are doing to upgrade the technology. One of the things that this new technology announcement suggests to me is that Heatblur is neither content to let things just be without trying to refine and make something more of their core technology. It also suggests that they have a strong future plan for other modules as time goes on. Although the AJS-37 and F-14 projects are highly visible, Heatblur will eventually be looking to develop future aircraft and modules and we’ve already had some teases from them on what some of those might look like. Heatblur has previously talked about another Swedish jet, the SAAB 35 Draken as an AI type that may eventually see the light of day as a future flyable project. So too has the A-6 Intruder as an aircraft that connects well with the F-14 project. We may yet see more of these adjacent aircraft be announced by Heatblur as they push into the future. This Draken render came out many months ago as a future AI aircraft that Heatblur may eventually consider as a flyable. Clearly future support is planned which is always encouraging. 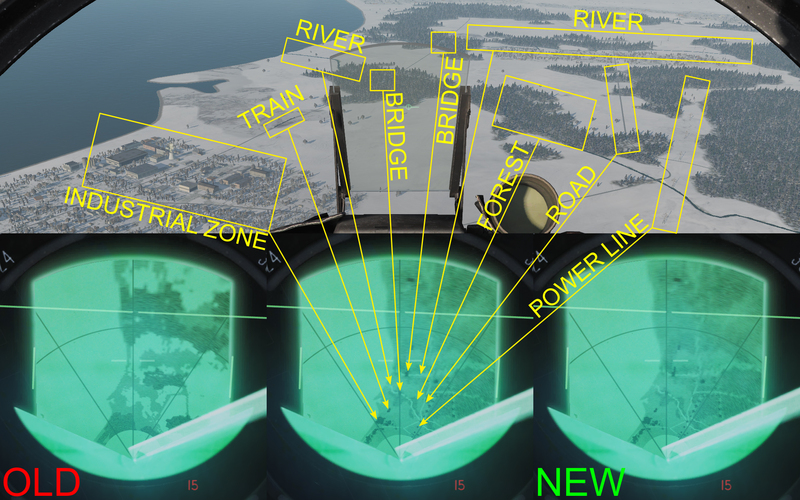 For the full update, check out the Ground Radar 2.0 update on the Eagle Dynamics forums. Previous Post IL-2 sale extended! Heatblur has been doing some amazing things in DCS, the Viggen is one of my favorite addons and I am REALLY looking forward to the Tomcat and Intruder! There’s also a sizable number of folks interested in a Tornado (possibly a GR.1). Either of those swing wing penetration bomber type aircraft would be interesting to have.